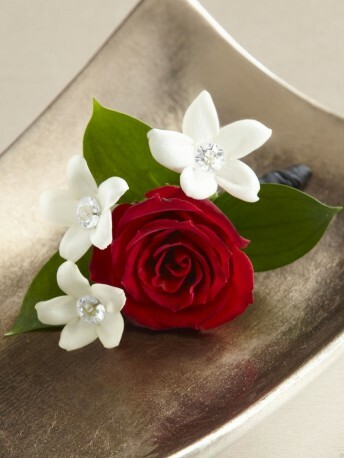 This pretty boutonniere will be the perfect fit for your wedding day. A single red rose is accented with white stephanotis blooms donning sparkling pins at the centre to create an exceptional look for the men standing by you on this most momentous day. Approx. 3"H x 2"W.